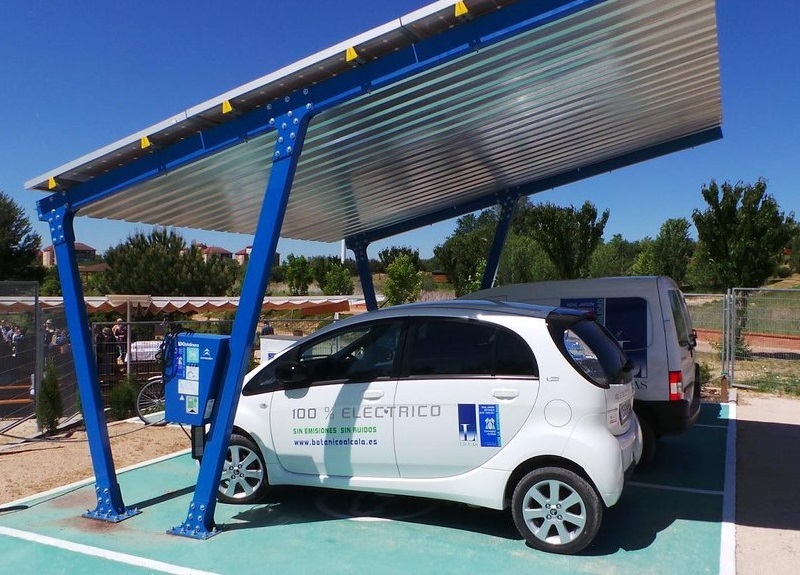 Europa Prefabri group, specialized in modular construction and in the design, manufacturing and installation of metal parking canopies, and Sendekia, an enterprise that works in the renewable energy sector and develops products that allow projects to adapt to sector changes, collaborate to offer a sustainable energetic solution for electric cars charging station: Solar energy charging stations. 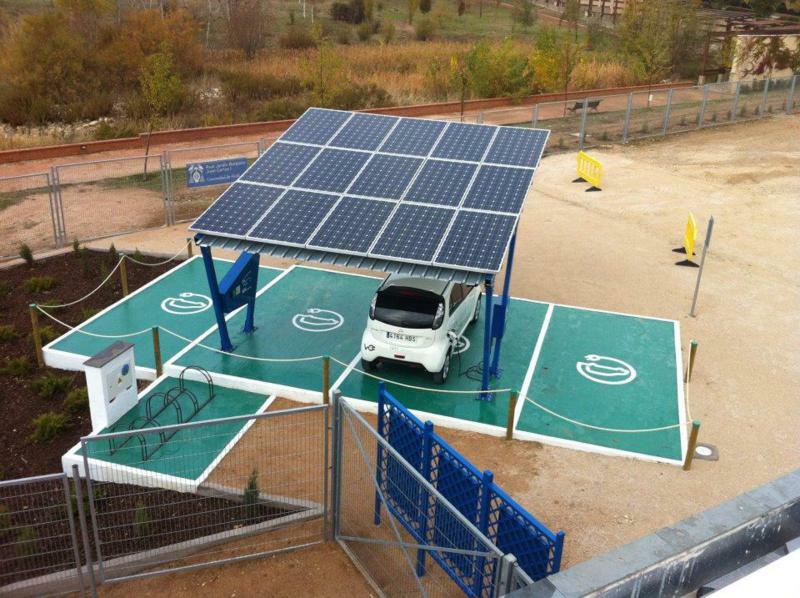 What are the solar energy charging stations? 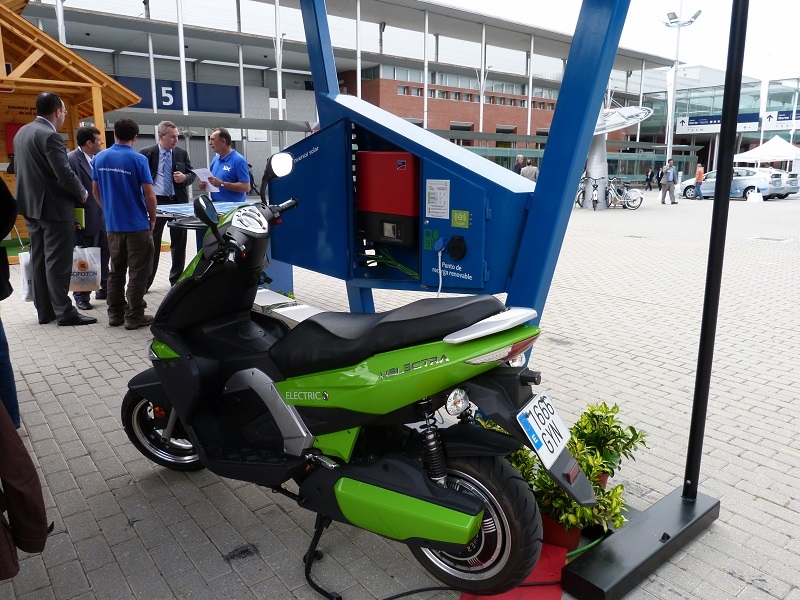 They are a part of the stabilizing elements of the electrical vehicles charging infrastructure. 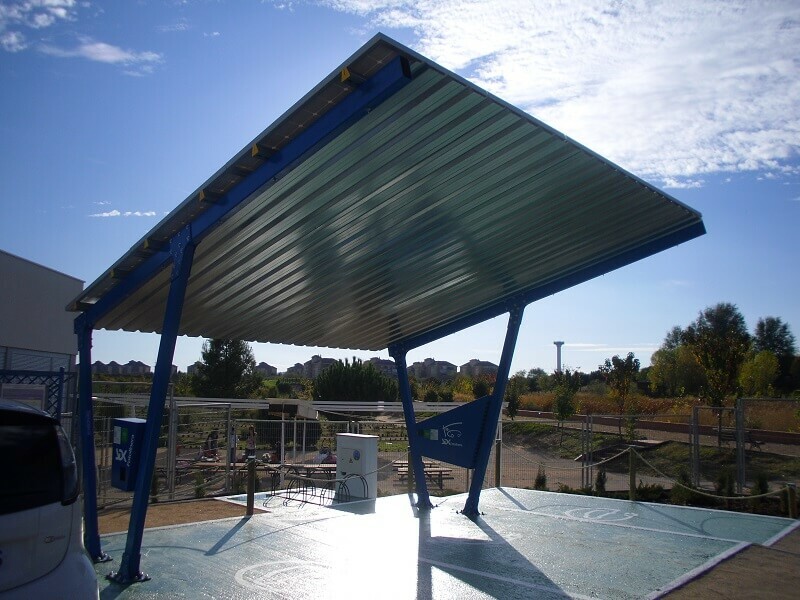 This allows to minimize consumption peaks through the production of photovoltaic energy during the daytime. 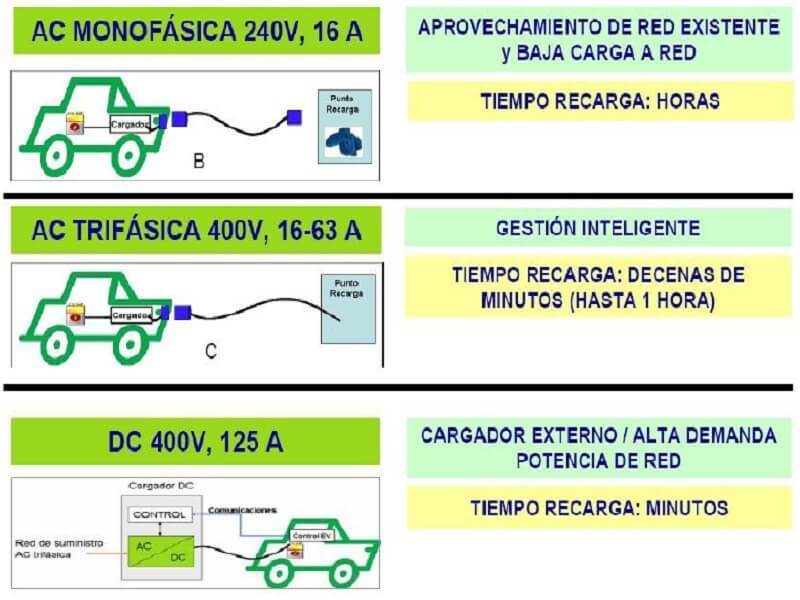 They produce the energy needed to recharge cars and they also minimize the electric bill of the enterprise or household where the station is installed. 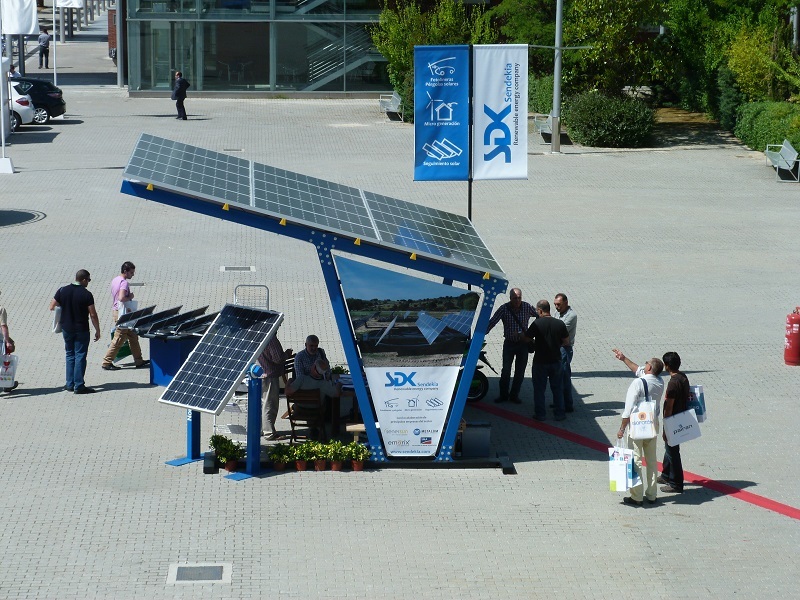 How do solar energy charging stations work? 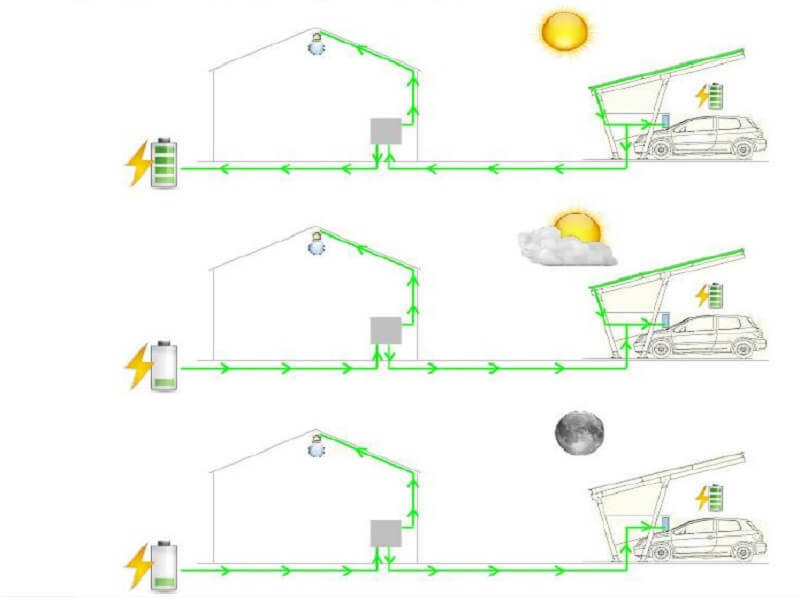 During the hours of sun, the station produces energy enough to charge the electric vehicle and the energy left is transferred to the internal net or to the electricity grid. On cloudy days, when climate conditions are not the best, this stations keep on generating energy but on a lower degree. At this point, the demand is fulfilled using the grid (with the energy previously produced). At night, the station can’t produce any energy, so it uses the grid to provide energy (the electricity grid keeps the energy produced during the hours of sun). Smart: used on public streets, public and private parkings. All the events of the recharge point are register with an RFID card user and allows to monitor actions through an Internet management platform. Without access card to validate the user. They are normally used in houses. 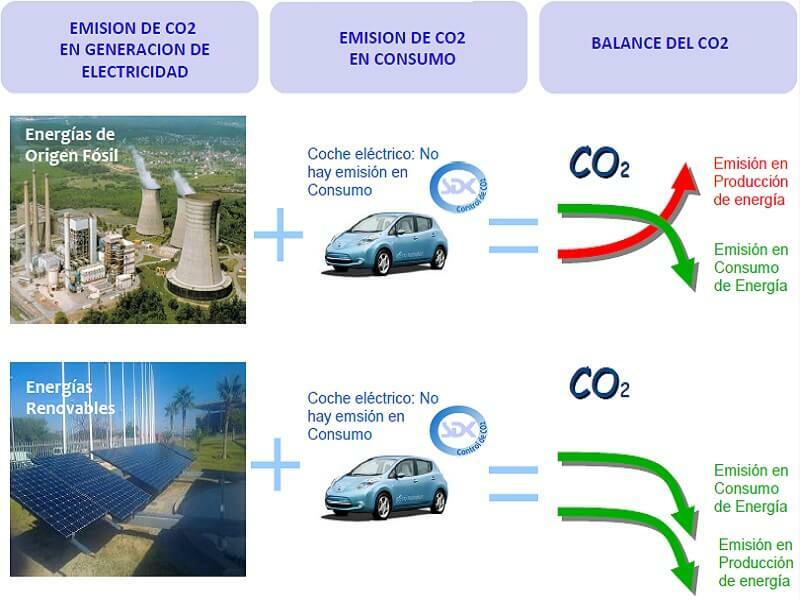 Susteinability: solar energy is a clean energy source, it doesn’t produce emissions of CO2, improving the reduction of greenhouse effect and climate change. Protection: protects cars from sun while charging them. Advertising: enterprises can use the structure as an advertising area, as they are usually in crowded places. Usability: we use an automatic self-service system to plug the car and leave it parked while it’s charging, so the owner can do something else. 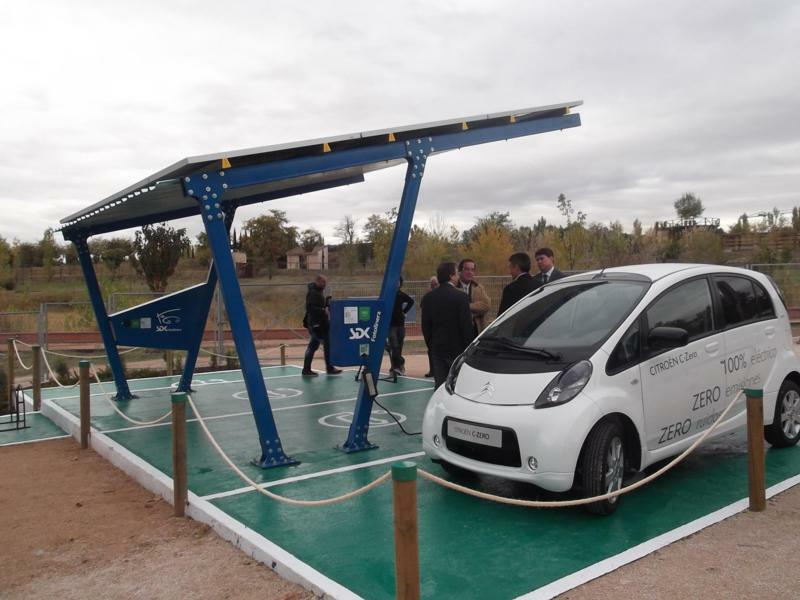 Solar charging stations are prepared for slow or fast charge, so they can adapt to the evolution and improvements of these cars. Affordability: easy to install, its maintenance is not difficult nor demanding. 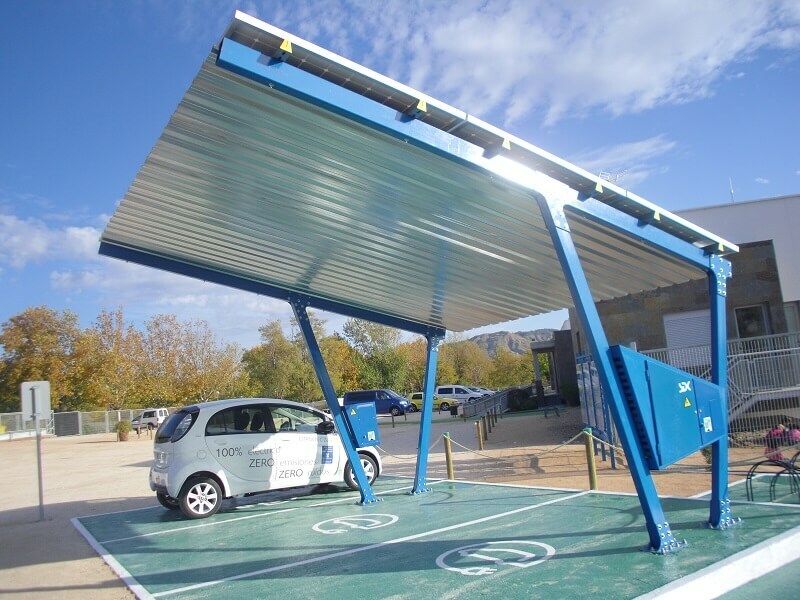 The car charging in these solar carports means spending five times less than with fossile fuels and they translate into great savings in the electrical bill.